PAPUA New Guinea National Rugby League (PNGNRL) competition manager Stanley Hondina has commended Giru Construction Limited (GCL) for providing a pathway to help develop Jiwaka and Western Highlands players. The talent identification programme will help take talented players to the next level with financial support from GCL and other business houses. Hondina commended GCL managing director Fredrick Koldop, pictured, for setting up the pathway, allowing Waghi Tumbe trio Sipa Korken, Emmanuel Waine and Joshua Nani to play for the Mounties — a feeder club of the Canberra Raiders — in the New South Wales Cup. He said this was a huge investment by Giru Constructions to help identify the potential players and secure overseas contracts to further careers in the sport. 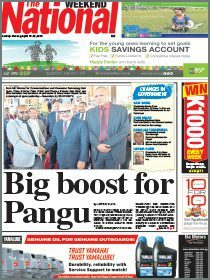 “This is a great opportunity that Koldop has provided for these players and I wish them all the best on behalf of PNGNRL and the PNG Rugby Football League,” Koldop said. Koldop added that through his company, the trio were awaiting visas their visas to be cleared before they could join the club. The Mounties was once home to the late Kato Ottio. Koldop said he believed that the pathways in Australia were way ahead compared with PNG and that talented prospects should be given the opportunity to further their careers there. “This is an area where our athletes have failed over the years, as we start our rugby league careers at late stages,” he said. “Our development pathways in PNG are limited. 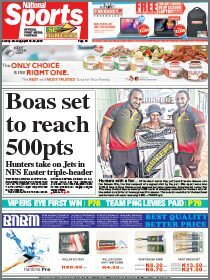 They stop at the PNG Hunters so we have to look elsewhere to help our potential prospects achieve their goals. Koldop said he would continue to provide development incentives and build the foundation for another new franchise.